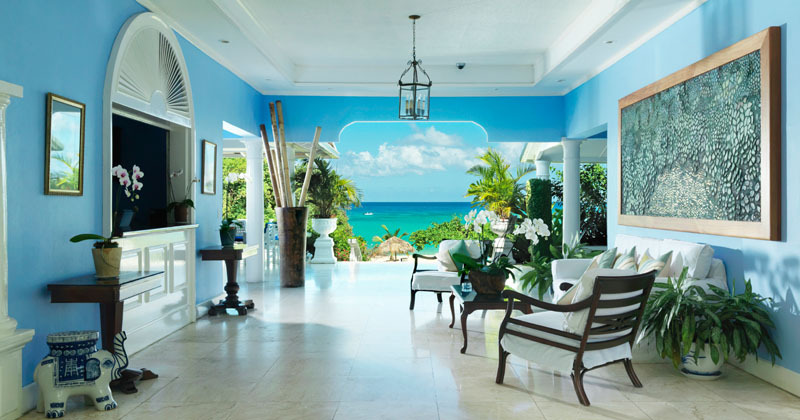 Jamaica Inn Hotel is and elegant luxury hotel hideaway on Jamaica’s north coast where beautiful surroundings and relaxation are top priority. 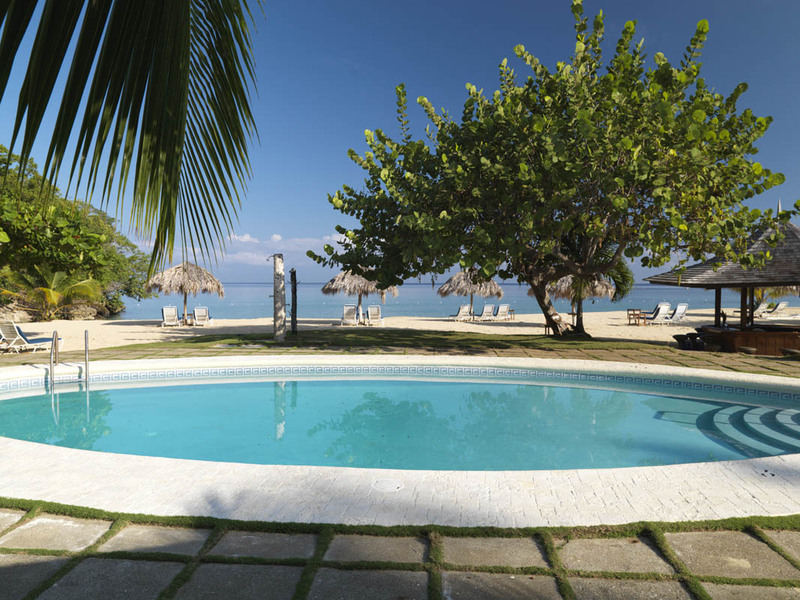 Excellent service and attention to detail makes this small luxury hotel one of the best on the island and is often voted ‘The Best Kept Secret’ in Jamaica. 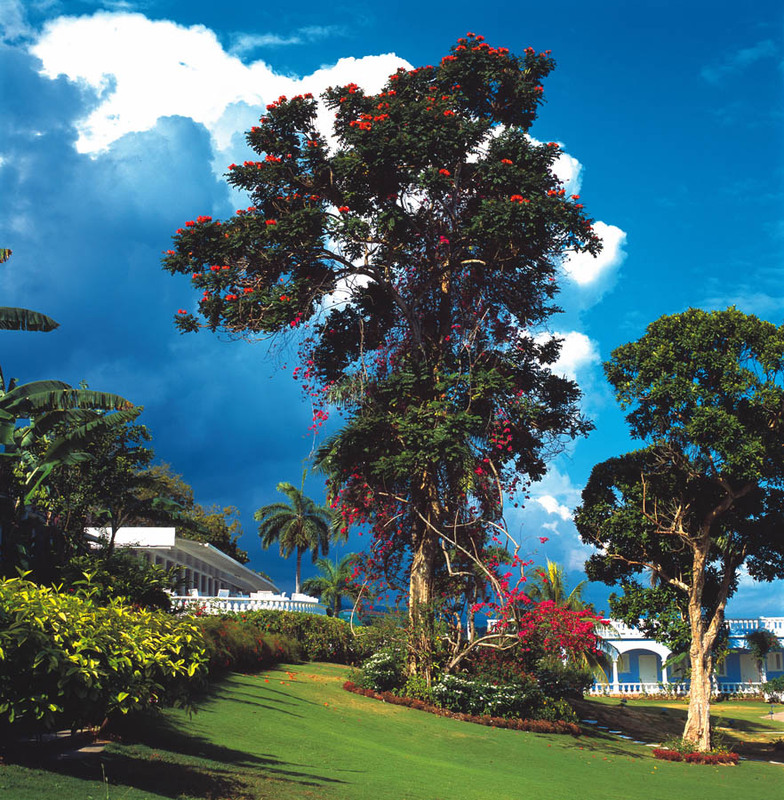 Jamaica is one of the most naturally beautiful, diverse and popular destinations in the Caribbean and plays host to a traditional family run hotel established in the 1950’s. We love the fact that you can lose yourself in the stillness that surrounds this boutique property, with no reminders of the outside world and just seemingly endless tranquility. 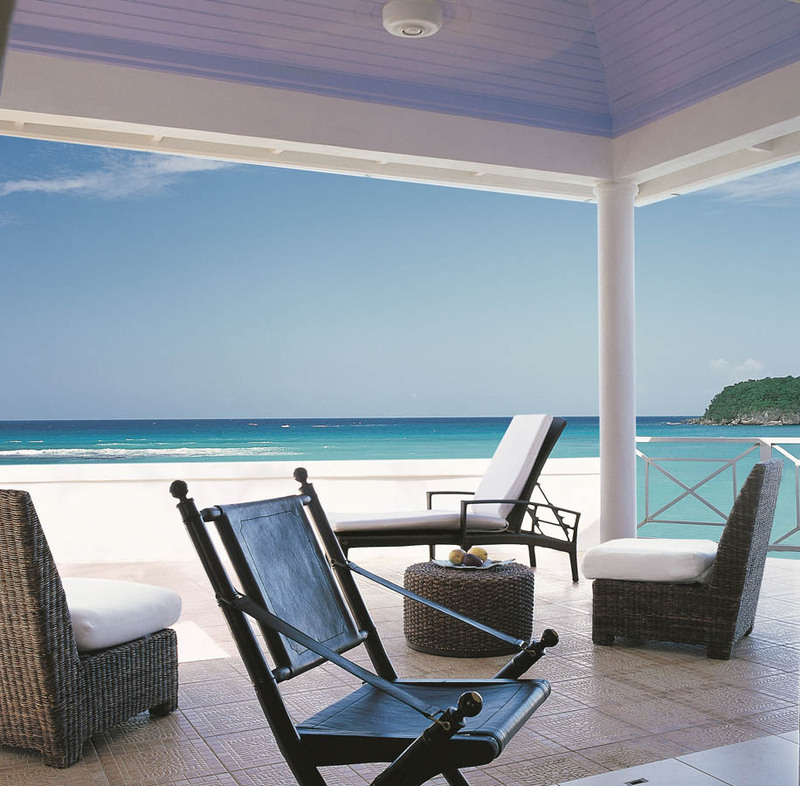 The entire luxury property is stylishly decorated and most guest’s favourite feature is the huge balconies and verandas extending from each suite. Fully furnished with comfortable chairs and loungers they act more like open air living rooms than traditional balconies. 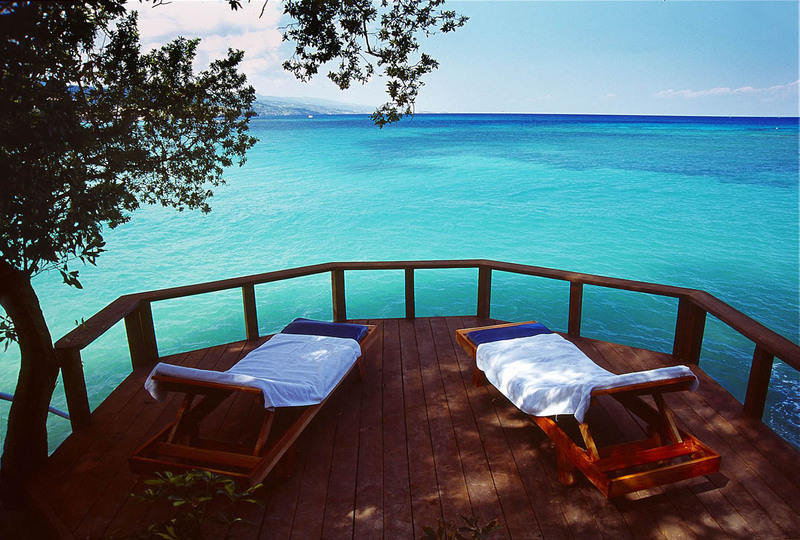 Perfect for dreaming the day away. 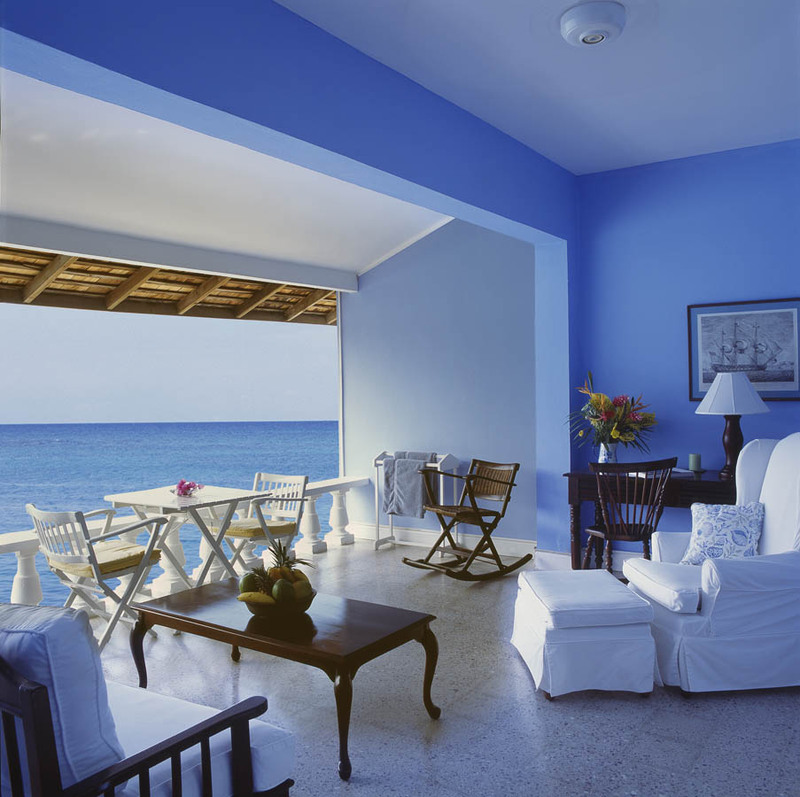 All suites are free from distractions (TV’s, clocks and radios) and views of the turquoise Caribbean Sea. Located on the peninsula on the east side of the hotel the latest of the Cottage series to have undergone a total transformation, and will join the ultra-luxury Cottage 3 & 4. 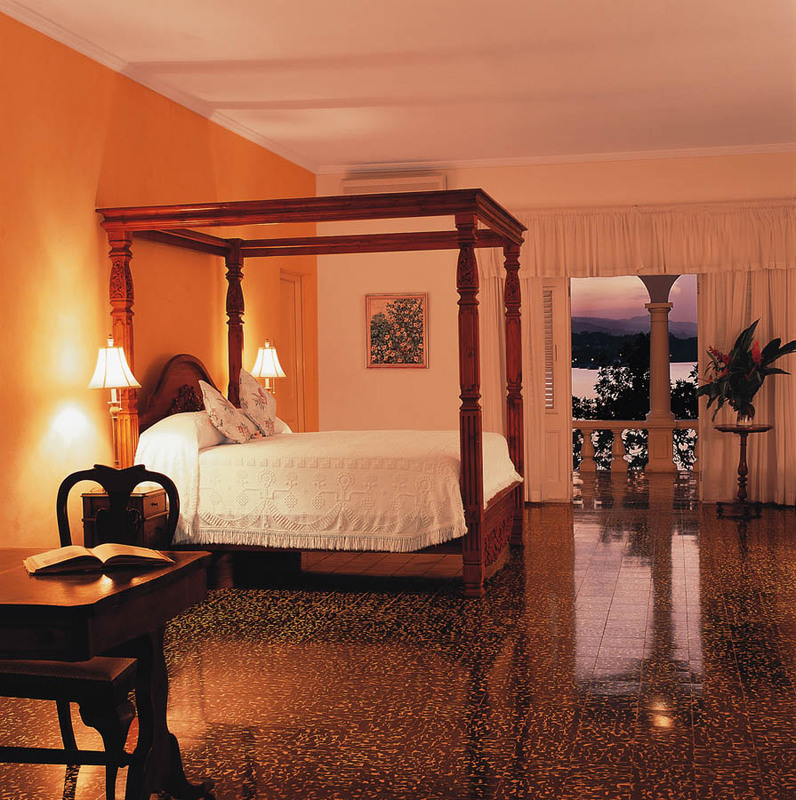 Totally remodelled by a Jamaican interior designer, who has used locally sourced woods, ceramics and furniture that has been fashioned in a contemporary Caribbean style, to create what will become Jamaica Inn’s premier suite. 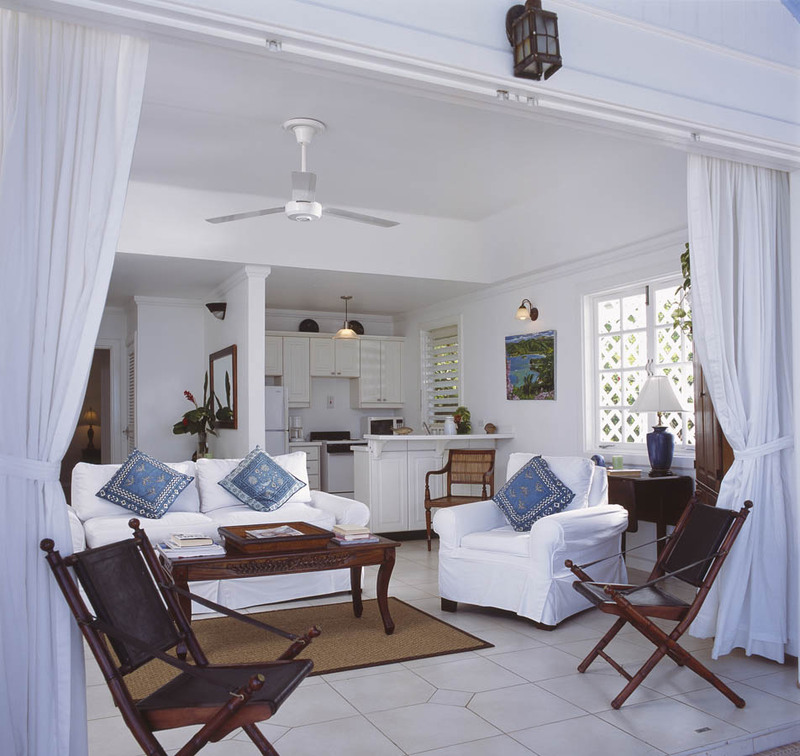 The cottage has been designed to make full use of its natural surroundings and fabulous panoramic ocean views. Two storey 1-bedroom cottage rebuilt to a high specification. Entrance through a cathedral ceiling foyer to a living room with 20ft glass doors which face the ocean and leads on to an infinity edge pool (16’ x 6’) 2ft below the pool, steps lead to a dining deck, cantilevered over the sea for sensational sea views. 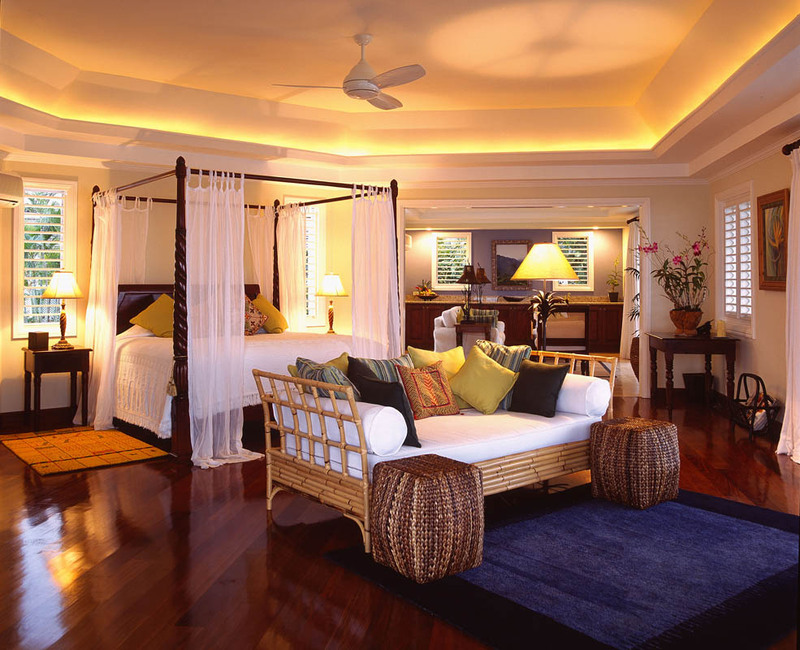 A wooden staircase rises to the bedroom on the first floor, which includes a custom made Jamaican 4-poster bed, teak floor and spectacular ocean views to the north and east through 2 sets of French doors. 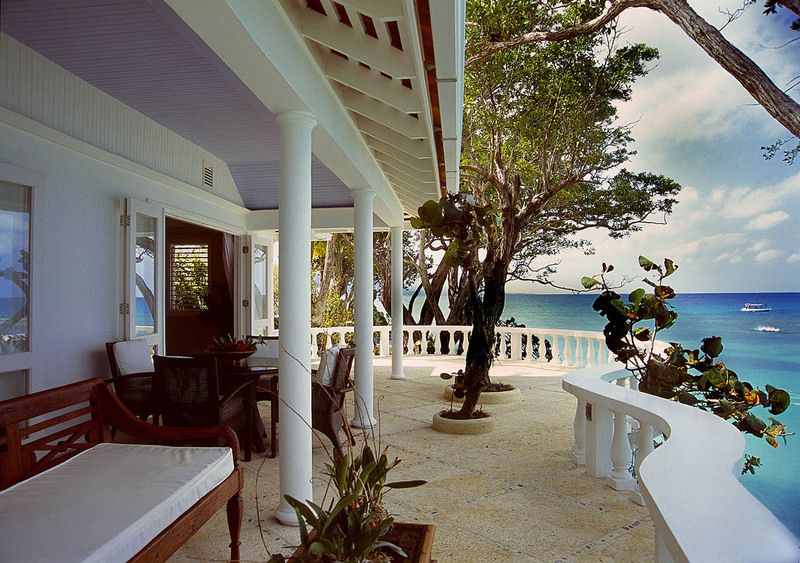 A long balcony overlooks the cove below. Fabulous bathroom with claw tub, double vanity, walk in closet and an exterior shower with iridescent glass tiles and pebble floor is located on the balcony. 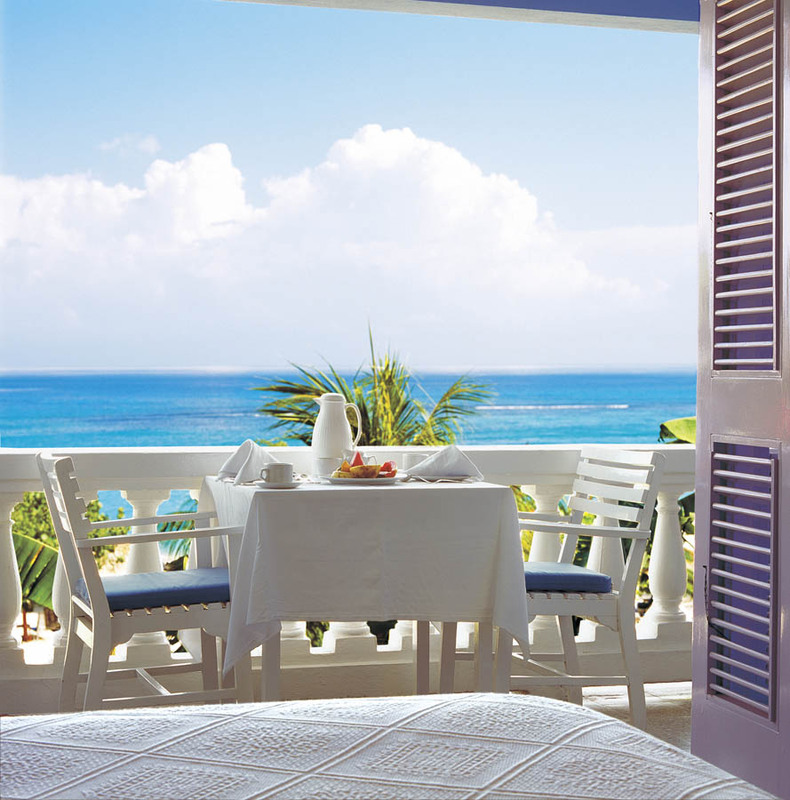 Start the morning with a freshly prepared breakfast on the privacy of your verandah overlooking the Caribbean Sea. 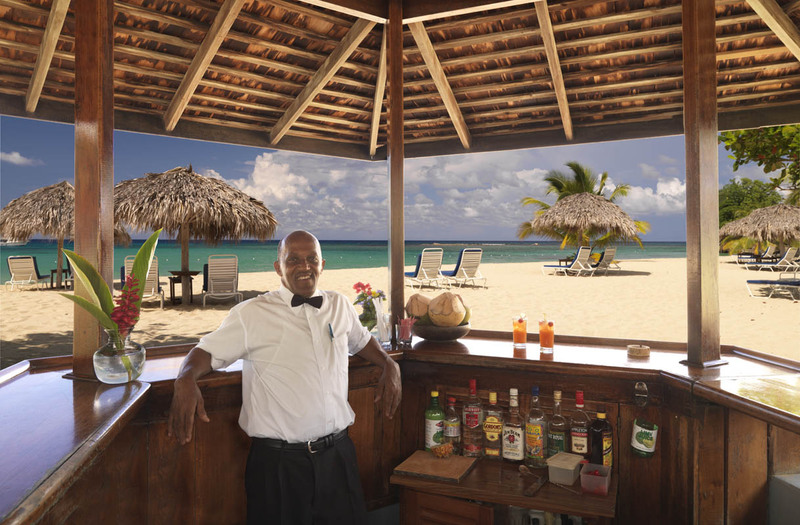 Pull up a bar stool in the sand for a Red Stripe and a tale from Teddy about the past 50 years. 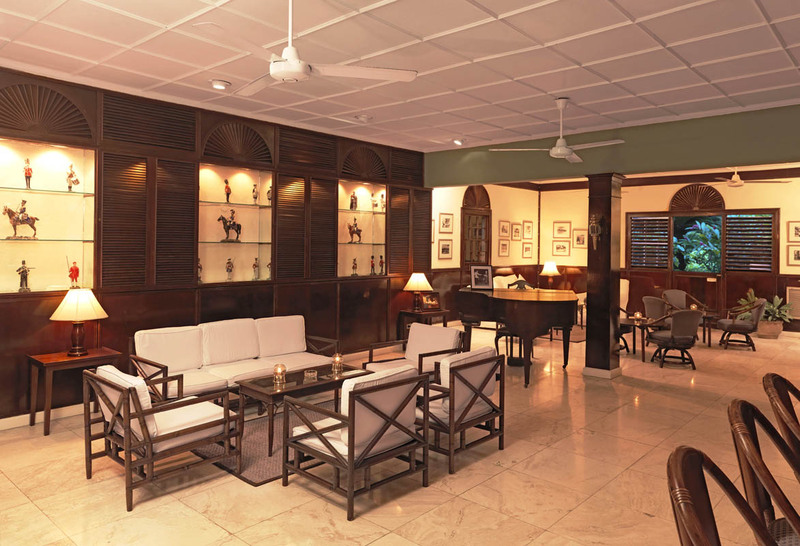 Share a toast with friends, and the greats, in the Lounge. 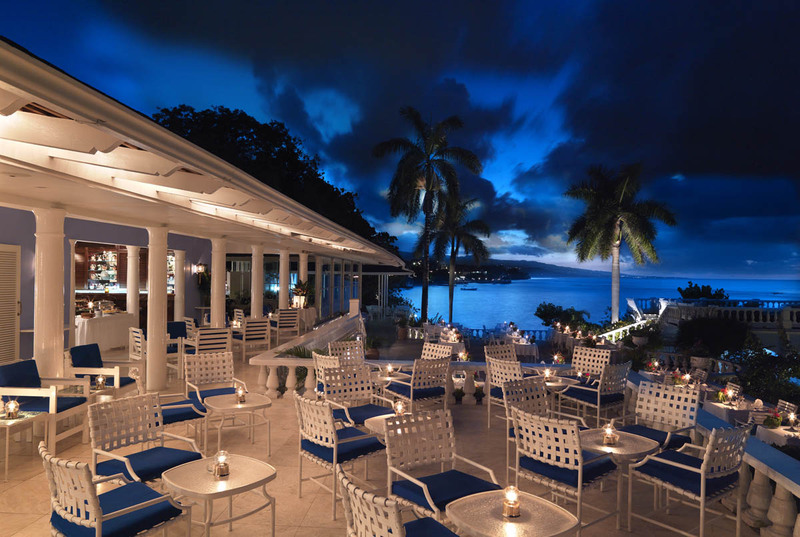 Dine on Chef Maurice Henry’s gourmet creations under the stars to the tune of a four-piece band. 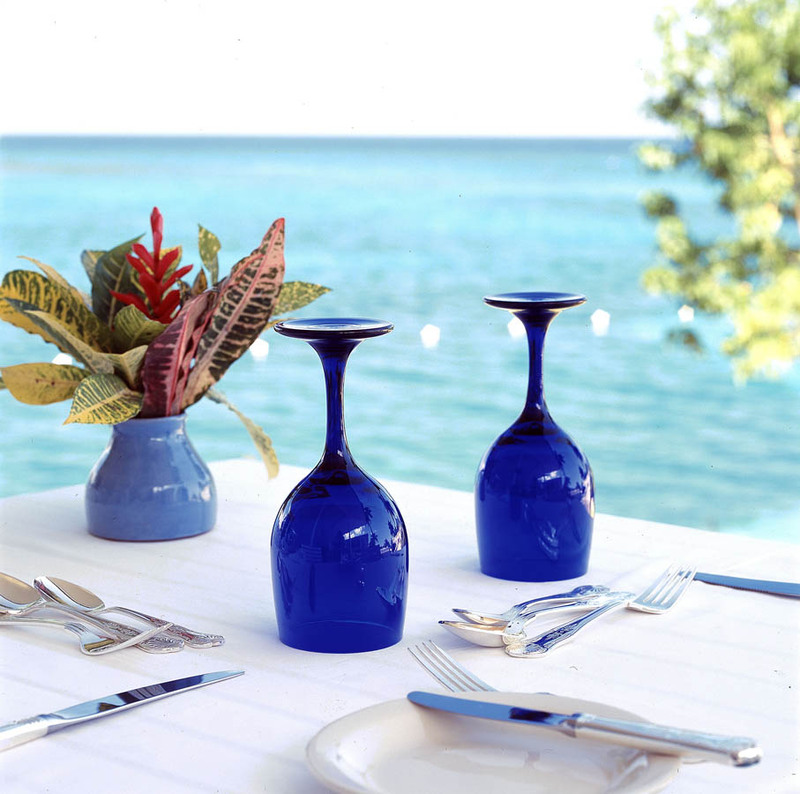 Dining at Jamaica Inn is always an anticipated event that delights all of the senses. 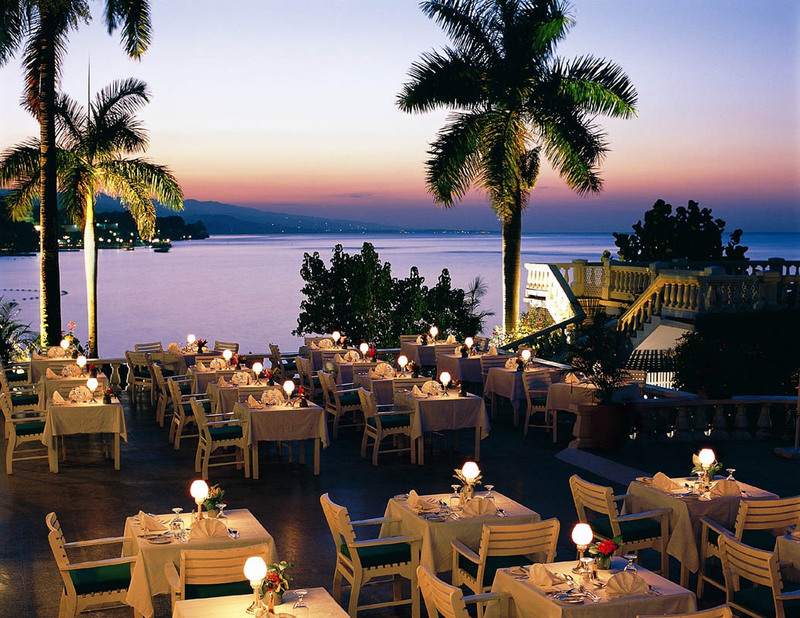 At our acclaimed open-air Jamaica restaurant, enjoy gentle sea breezes, uninterrupted views, attentive service and delectable cuisine. 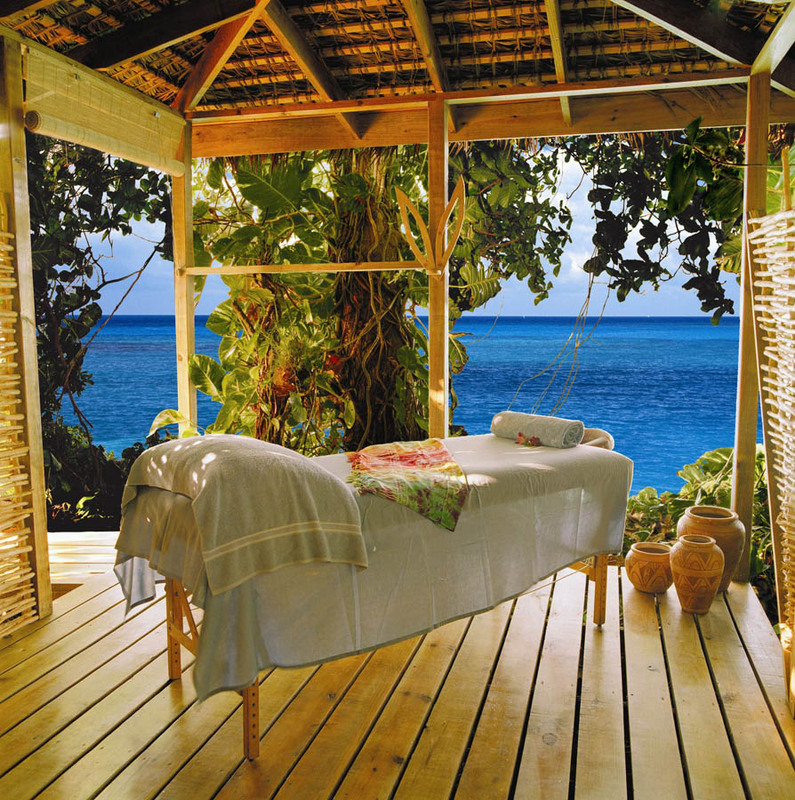 KiYara Spa at Jamaica Inn Nestled on the coral cliff of Cutlass Bay, KiYara is a truly unique Caribbean Spa. 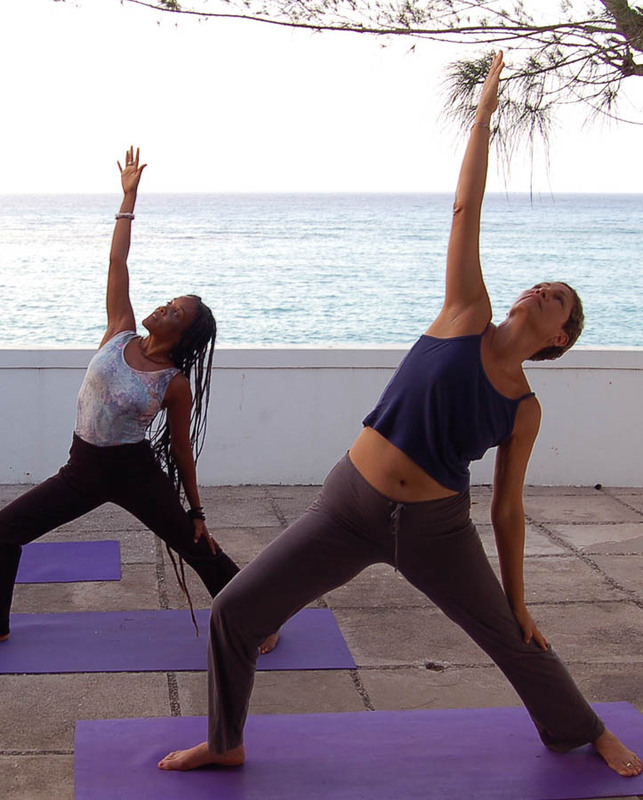 It features a wide range of holistic treatments such as body balancers, facial care, body treatments and massages utilising locally sourced natural ingredients and are all sensibly priced. After 7pm gentlemen are required to wear long trousers and a collared shirt by the main bar, cocktail terrace and dining room. Ladies dress accordingly. 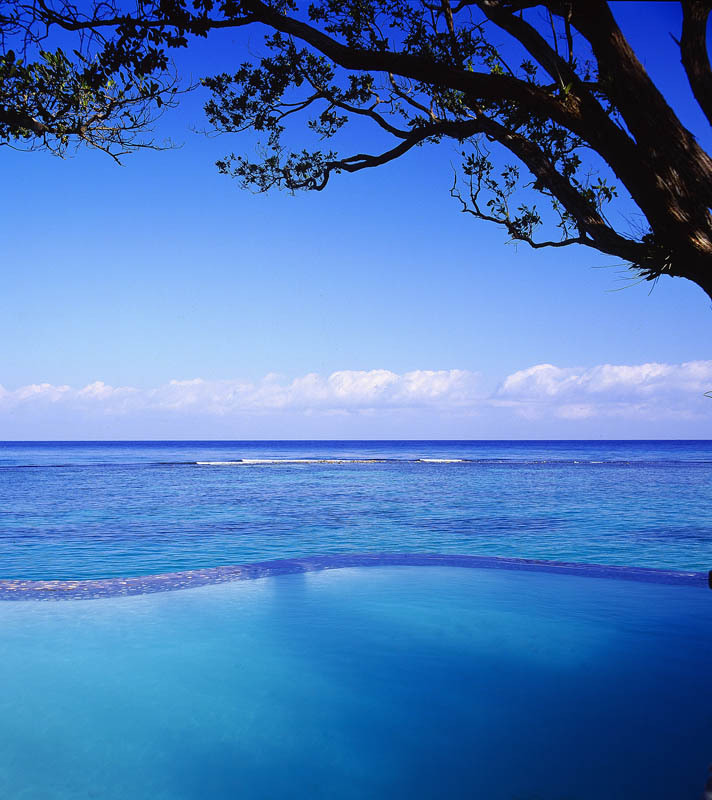 1 restaurant, 2 bars, a boutique, swimming pool, KiYara Ocean Spa, complimentary snorkelling, kayaks and sunfish sailing, croquet and exercise room. Motorised water sports and diving excursions are available nearby. 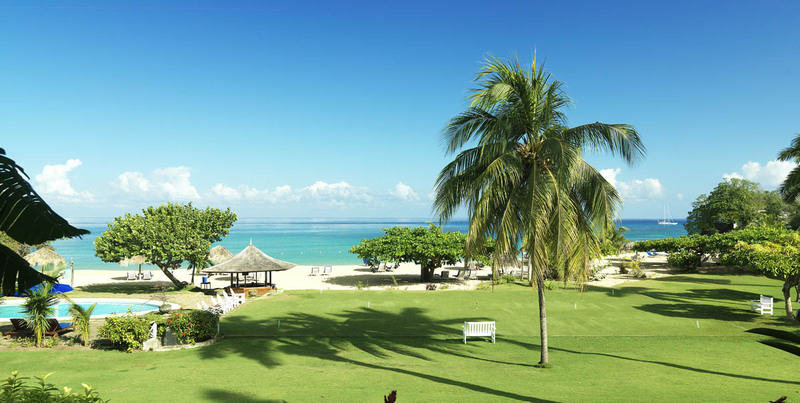 Golf – the 18 hole golf course at Sandals Golf & Country Club is a short drive away and Jamaica Inn guests receive a discount off of the green fees. Tennis – complimentary available a few minutes from the hotel. Lighting and Pro additional charge. 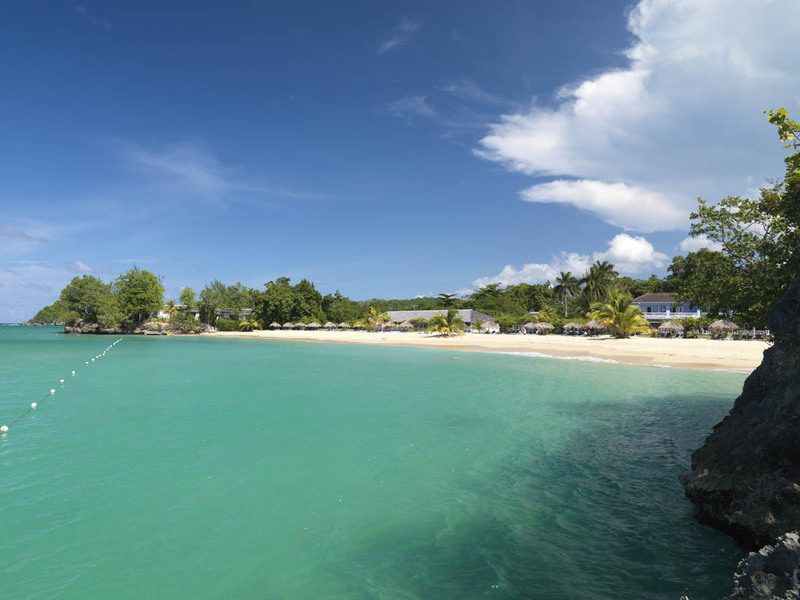 The 700ft stunning white sand beach is considered to be Jamaica’s premier private beach which is equally as good for swimming as it is for sunbathing. Non motorized water sports are available if you feel like a little activity. There are 3 eating areas which alternate throughout the day. An award winning extensive breakfast menu can be served either on the Restaurant Terrace or on the balcony of each suite Lunch is served at the Seaside restaurant or right on the beach. Afternoon tea in the main bar area Cocktails and Hors d’oeuvres are served on the Cocktail Terrace and then there is Dinner! Quite an event for a small luxury hotel a 6 course International gourmet affair with a Caribbean Twist created by Chef Maurice Henry and his team and changes on a nightly basis. 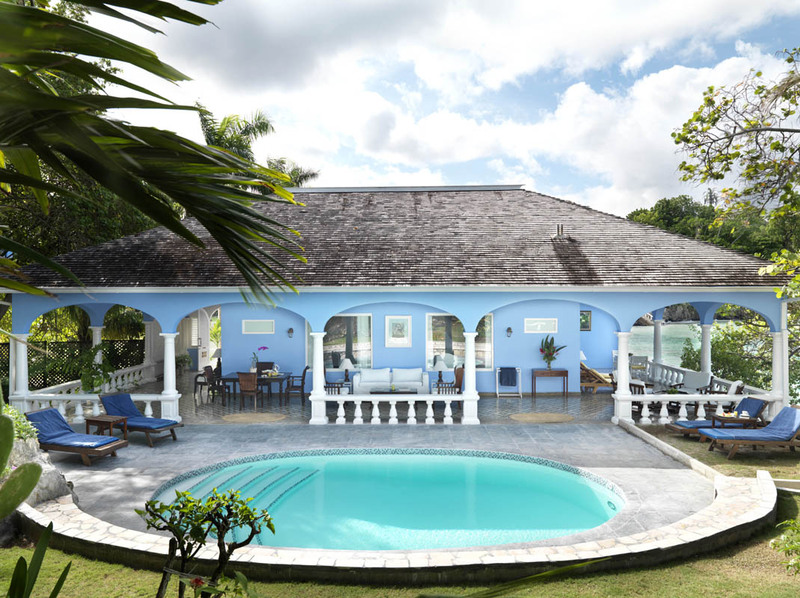 From celebrating a honeymoon on Jamaica to rekindling the flames of romance, toast your love for each other and to your future on a luxurious getaway at Jamaica Inn. 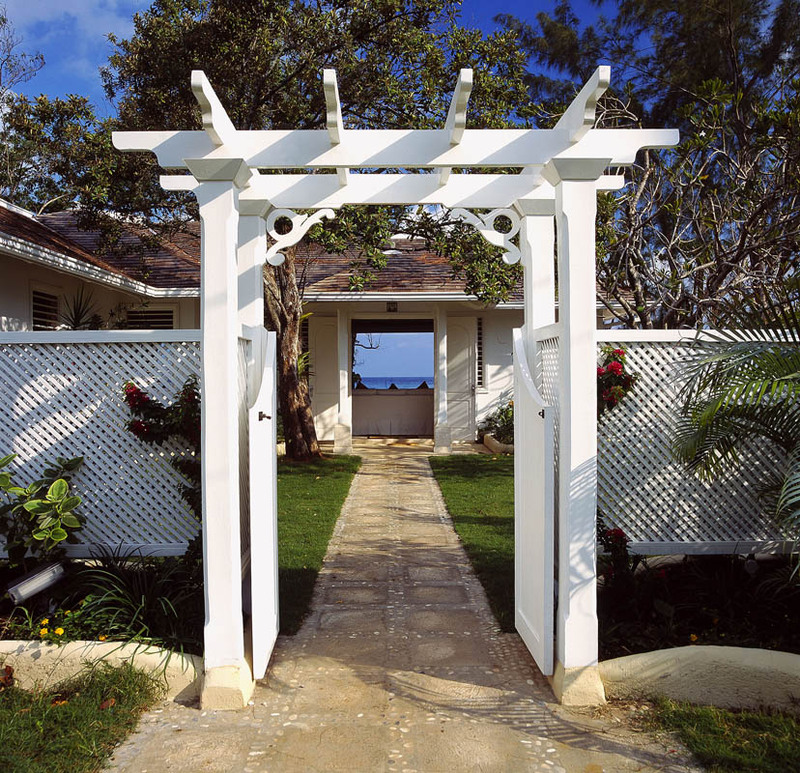 Retreat to one of our spacious Jamaica accommodations and cottages, all with private verandahs and ocean views. 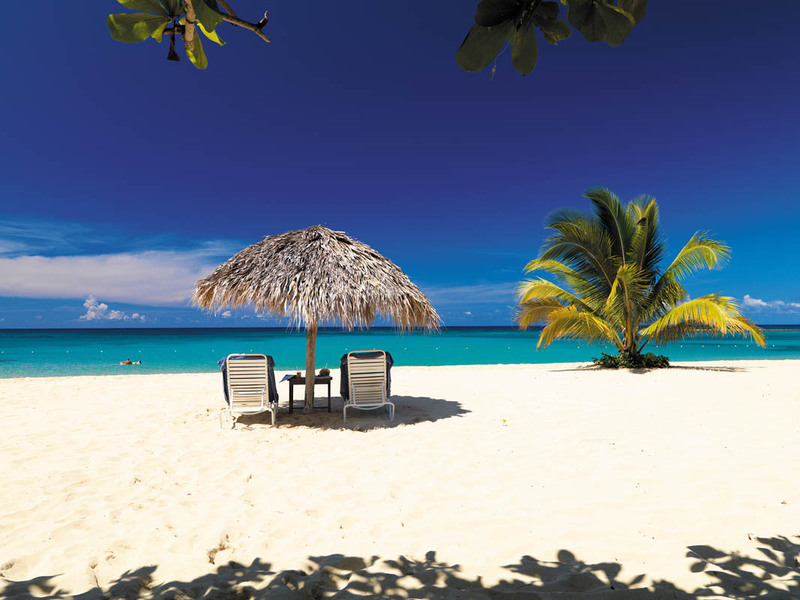 Frolic on the beach with complimentary snorkeling, kayaks and sunfish sailing. Take a nap under your own palapa. 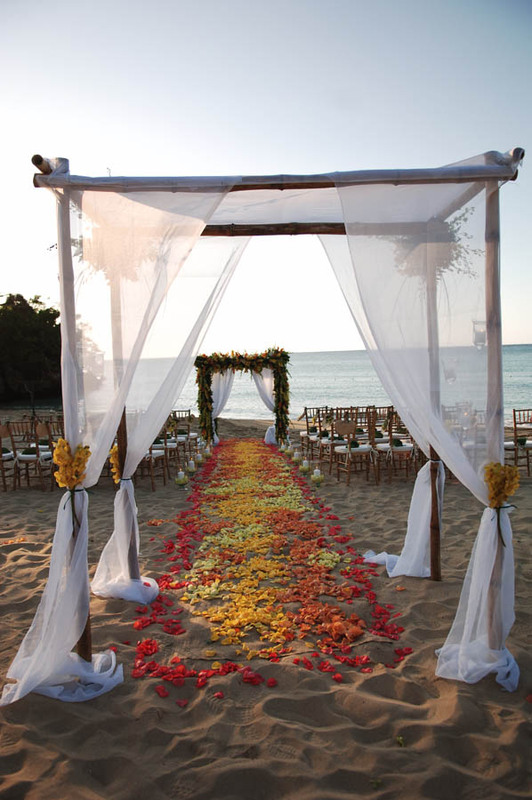 Dine by candlelight under the stars and dance the night away serenaded by a four-piece band.